Entering Film Directing Programs in the U.S. I want to continue discussing the process of admission to majors in creative arts offered by U.S. schools. 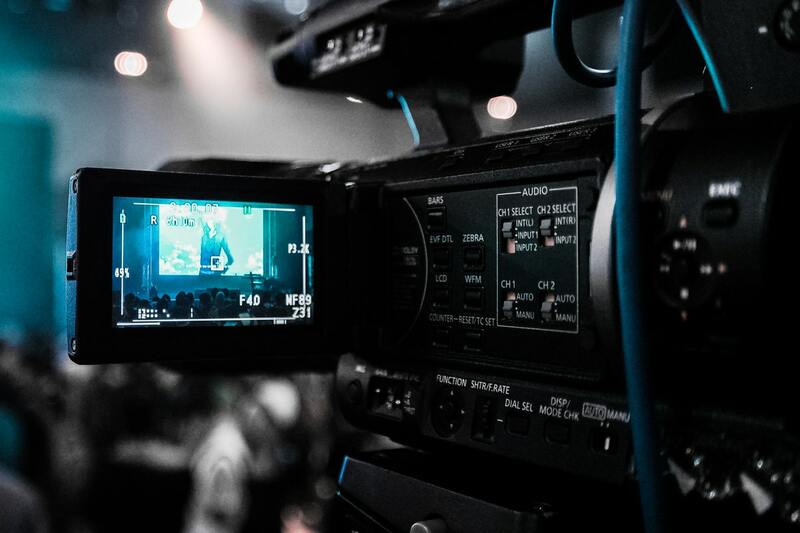 I have asked one of our students, Alexei Borovikov, who successfully entered a film directing program at the Columbia College Chicago, to share his experience on applying to film schools. Alexei’s story turned out to be useful, interesting, detailed and voluminous, so I have divided it into several parts under different themes. Today, I will ask Alexei several questions regarding choosing schools and writing essays. There are more than 100 public and private film schools in the U.S., located in more than 30 states with a big concentration in New York, Florida, Illinois, North Carolina, and California (25)! How did you manage to find the ones that were best for you? The options for film school in the U.S.A is huge. Almost every state has universities offering programs for filmmakers that are available within the departments or as a stand-alone facility. In my initial research, I mostly relied on The Hollywood Reporter (THR) (https://www.hollywoodreporter.com/topic/top-25-film-schools), a magazine that is geared toward people interested in the and entertainment industry. Each year THR publishes information about the top film schools in the U.S. as well as other countries providing its readers with each school’s focus, cost of the study, list of notable alumni, etc. I used this data to do an initial screening, so I could later find specific information at each school’s page. All programs are different. There are schools that train only documentarians while others are famous for courses emphasizing art-video and portrayal. I was looking for schools offering strong programs for professionals interested in making narrative films, like the ones that we are used to seeing in theaters. I did serious research and ended up with a list of 14 schools with Masters of Fine Arts (MFA) programs, the highest degree in that field. I purposely chose so many universities to apply to in order to increase my chances of acceptance and getting funding. I realized that it would be a lot of work to do but decided not to narrow down my list to the recommended six to seven schools. Nobody can argue that. The essay is a very important part of the application package and writing it is not an easy task. How did you deal with this issue? Could you elaborate on that and give us examples of things you included in the essay? Different universities use different names to designate essays you need to submit as a part of an application package. They may call them as personal essays, statements of purpose, autobiography, , essays on training goals, etc. The explanation of what exactly the committee expects from these documents, as well as the list of requirements, vary from school to school. They are available on schools’ websites. In general, the essay is an opportunity to present yourself as a person who has something to say. You need to recall the most important, decisive moments of your life, and describe them to the audience. It can often be a dramatic experience that has shaped your personality and your attitude towards other people and life in general. All this information should be presented in an exciting, engrossing, but rather formal way. You should also discuss your experience in the sphere in which you are going to study, as well as your preferences and interests related to the chosen major. The essay is also a great opportunity to assemble separate parts of your application and clarify some things from your background. In my case, I had to explain why, after getting a degree in journalism, I spent another four years studying psychology and then became interested in film production. I also described my professional achievements, the projects I was involved in, and my future plans. All this helps the committee to understand how serious I am in my intentions to get an education in the field, and how realistic my plans are. It helps them to compare my goals with program objectives and understand if it will meet my expectations and needs. The format is also important. Do not forget! As a rule, universities, especially top ones, are ready to read no more than two pages and prefer certain formatting (i.e. double-spacing, 12-point font). Do not try to outsmart the committee by trying to fit a large text on two pages. It will only annoy them and give them a bad impression of you. It is better to provide them with concise, but meaningful text. You should put on paper as much as you like and then start reducing the text methodically. Be sure to allow enough time to work on the essay. Another important thing is showing interest in the program by giving good reasons as well as examples. It could be a specific structure or method of teaching that grabbed your attention, subjects, or, the ratio of teachers and students. It is important for schools to know that a candidate worked hard on researching the school’s program and researched different sources. It is also important that they know where the candidate is headed and is well prepared for “meeting” with the school. Next time I will continue talking about the application process to film directing programs and learn more about the process from Alexei Borovikov.